The European Commission (2018) stated on September 21 that Mauritania became the 15th West African country that signed the region-to-region Economic Partnership Agreement (EPA) with the European Union. This is an agreement which is negotiated with 16 countries of that region. Once signed by Nigeria, the agreement will be submitted for ratification by both sides. Meanwhile, Côte d'Ivoire and Ghana have already opted to apply bilateral agreements with the EU, awaiting the regional EPA with West Africa to be in place. EPA aims to promote trade between the EU and African states and contribute to sustainable development and increased investment, creating new jobs and helping to reduce poverty. On October 26, 2018 a Joint EU-ACP (African, Caribbean, and Pacific Group of States) Ministerial Committee on Trade will take place in Brussels to discuss the state of play of the seven Economic Partnership Agreements between the EU and countries of Africa, the Caribbean and the Pacific. The EU is already Africa’s biggest trading partner and the largest investor in Africa. However, a great deal of untapped potential in economic and trade relations remains both within Africa and between Africa and European Union. Economic Partnership Agreements and other trade agreements and arrangements should significantly contribute to reach this potential. East Africa is a geographically and economically homogeneous region committed to regional integration. The East African Community (EAC) consists of Burundi, Rwanda, Tanzania, Uganda (all of which are Least Developed Countries or "LDCs") and Kenya (which is a non-LDC). The EAC established a Customs Union in 2005 which was fully-fledged with zero internal tariffs as from 2010. The EAC, in fast tracking its economic integration process, ratified a more far-reaching common market protocol in July 2010. In November 2013, EAC Members signed a protocol on a monetary union. The integration agenda of the EAC is strongly political in its nature as its ultimate goal is to become a federation. - Customs-related provisions aiming to facilitate trade between EAC countries and the EU, to promote better customs legislation and procedures, and to provide support to the EAC’s customs administrations. 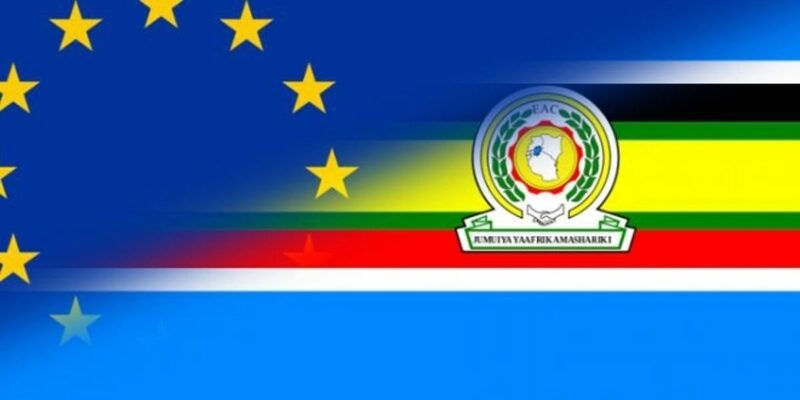 For further elaboration on the Economic Partnership Agreement between the EU and the Eastern African Community (EAC) we would like to refer to this article of the European Commission.